Trellis fences can be made using many different styles, vertical, diagonal, square. A Trellis fence provides a great way to create privacy around your property as well as a way to extend the height of an existing fence. 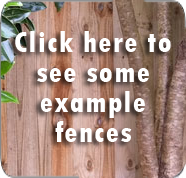 You can also achieve wind protection from building a trellis fence. As well as a fence, we can also build trellis gates. Auckland Fences has many years’ experience as designers and builders of high-quality cost-effective wooden trellis fences. We cover all of Auckland, including the North Shore, West Auckland, Waitakere and South Auckland.